Successful diplomats often become mini celebrities in the communities they serve. In addition to promoting their country’s interests and conducting diplomatic efforts using social media platforms, diplomats, being human, have their own personal Facebook, LinkedIn and Instagram accounts. and for the most part, the fan pages or official twitter account act as another channel to amplify their country’s voice. But for those managing their own personal accounts, the challenges are even greater. Not to mention the hired employees serving their diplomatic mission who at times, forget that although it is their personal account and they are not the diplomats, it is public and their posts have an effect on the mission’s overall online presence. A quick scan of junior diplomats and hired staff accounts reveals that they are not all aware that comments or opinions they would never express publicly in person should most definitely not be visible to all on Facebook. Diplomats are human and as humans, they wish to share their thoughts and experiences with their families on the other side of the world. 1. Keep your account public but make your personal pictures private or limited to family and close friends. 2. Do not like or comment on local politicians pages. This should be a given. Your professional account may certainly follow politicians as long as you follow all candidates equality and refrain from commenting, since this can and will be interpreted as showing active involvement in local politics. 3. As hard as it may be, avoid posting statements about your own country’s political figures, especially during election season, a time when the rest of the world may be taking a closer look at what is happening in your country. 4. If you are one of those diplomats who rightfully take advantage of being in new surroundings and enjoy spending your free time traveling, by all means, don’t hesitate to share your experiences, but be wise. You do not want to come across as ‘all fun and no work’ (sponsored by public funds). 5. It is truly wonderful to have a friendly working environment at your offices, but a line must be drawn somewhere and it better be Clear on Facebook. 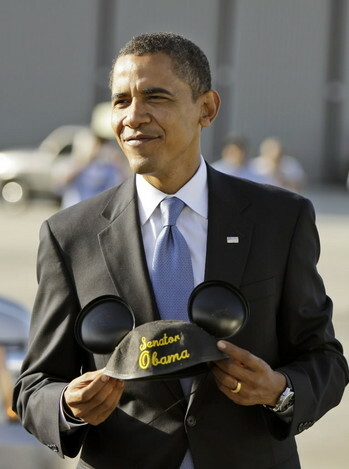 A trail of comments made by embassy staff and local community members on a diplomat’s photo wearing Mickey Mouse ears in Disney World from simply cute to absolutely ridiculous. Not to mention the long term managerial challenges you will face upon your return from your lovely vacation. WOULD I ALLOW MYSELF TO BEHAVE THIS WAY OFFLINE? The answer, multiplied by the combined sum of friends and followers on your personal and professional accounts should be enough to keep you from embarrassing yourself, your mission and your country.